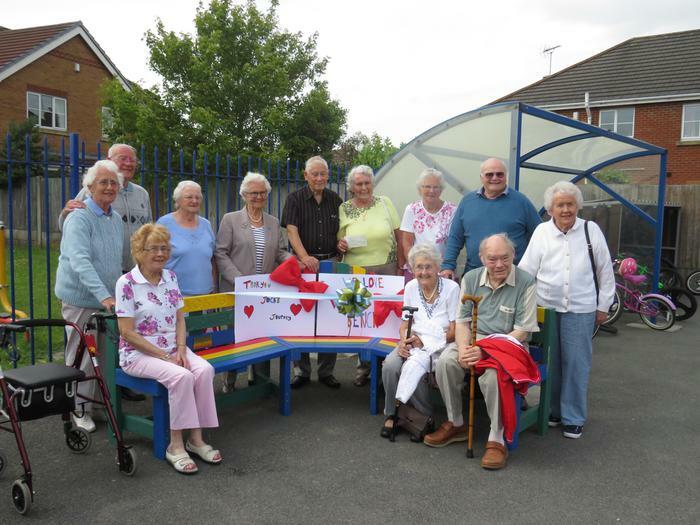 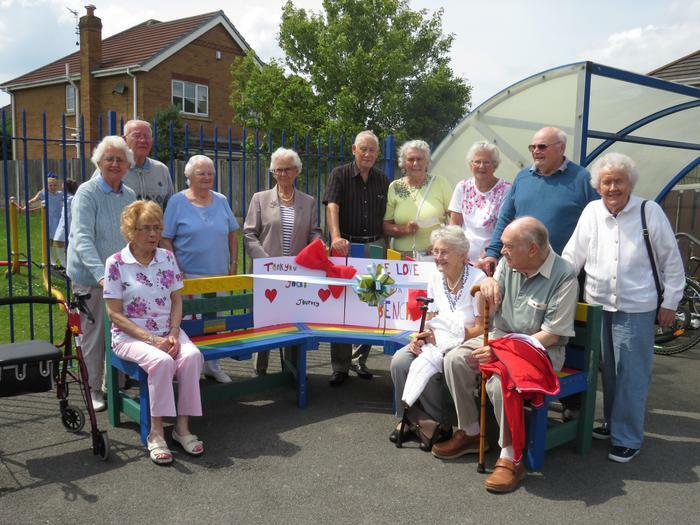 St.Patrick's School was recently nominated by the residents of Churchtown Gardens to receive a friendship bench from the charity 'Jack's Journey'. 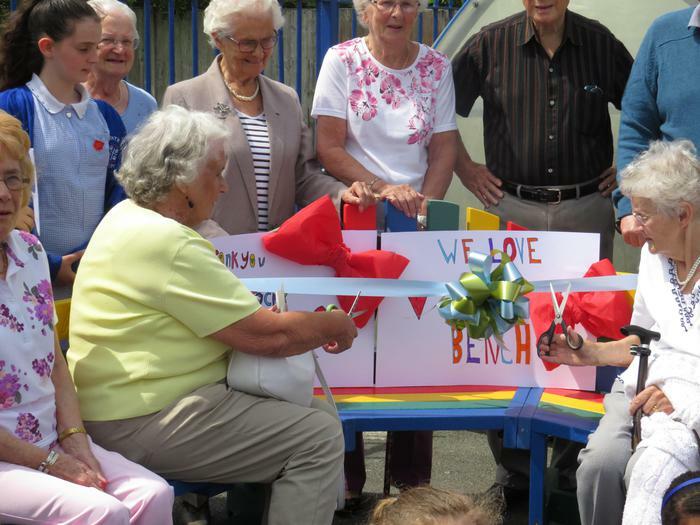 The bench, which is made from recycled plastic bottles, arrived before half term and has proved to be a very popular addition to our junior playground. 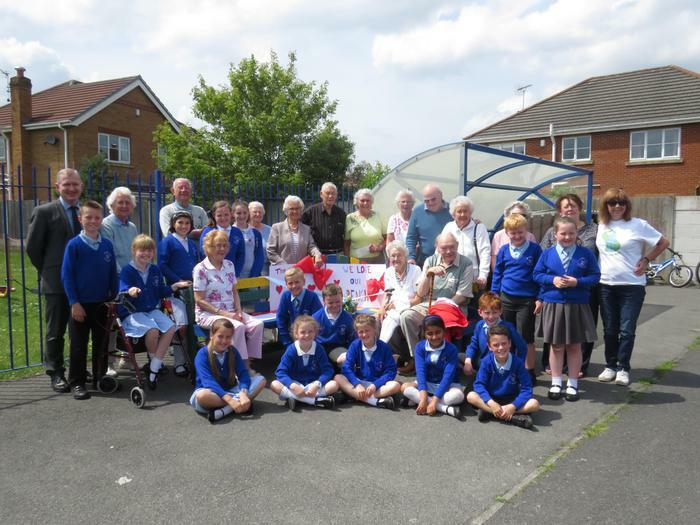 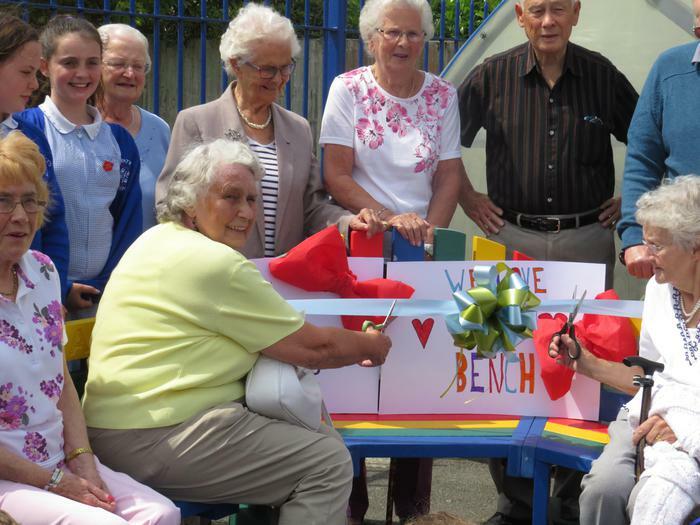 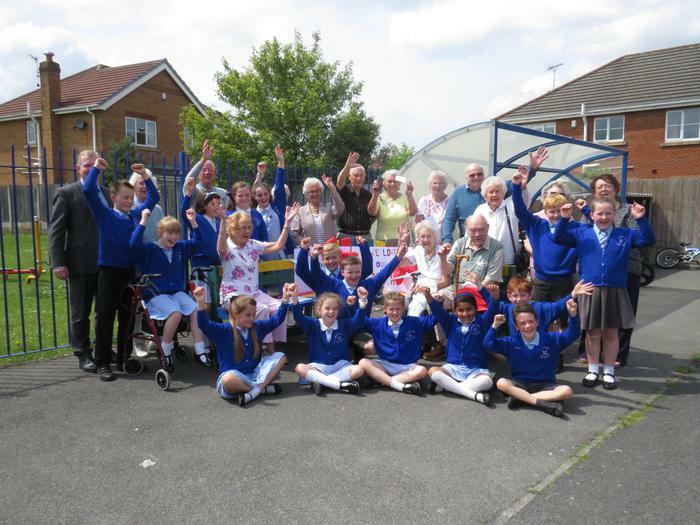 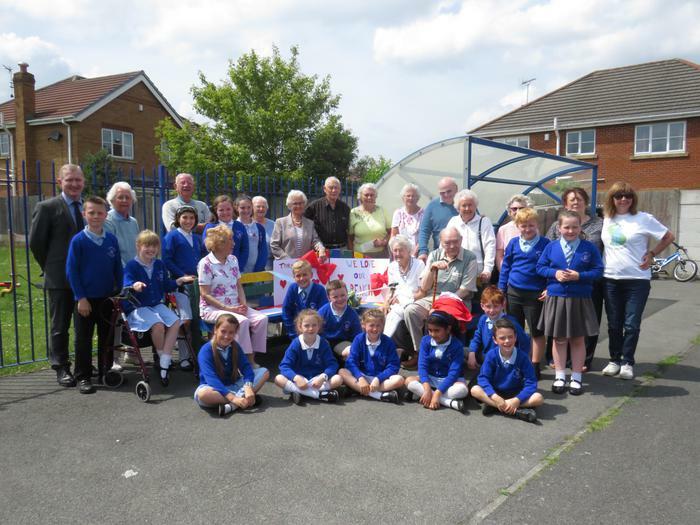 On 15th June we welcomed Kath, Jack's Mum and residents from Churchtown Gardens to present the bench to the School Council. It was a lovely occasion and we are very grateful to Jack's Journey and the residents of Churchtown Garden for nominating us.